WE ALL KNOW SOME DIFFICULT PEOPLE, DON'T WE? It's frustrating enough when there are people that we deal with casually, but it is worse when they are members of our family or a boss. If these people are coworkers, it's irritating, but we can possibly keep interaction with them to a minimum. If they are people we can't get away from, it takes a little skill to deal with them and come out unfrazzled. In this course you'll discover the fairly familiar types that show up in all walks of life as coworkers, family, neighbors and friends. They can terrorize and paralyze you. You don't like working with them or even talking to them. Luckily, you can outsmart them and help them. If you understand them and then use some easy strategies, you have a good chance of keeping peace and getting what you want done. No longer do you have to suffer in silence while your frustration builds up. You may have thought this was your only option, but it isn't. 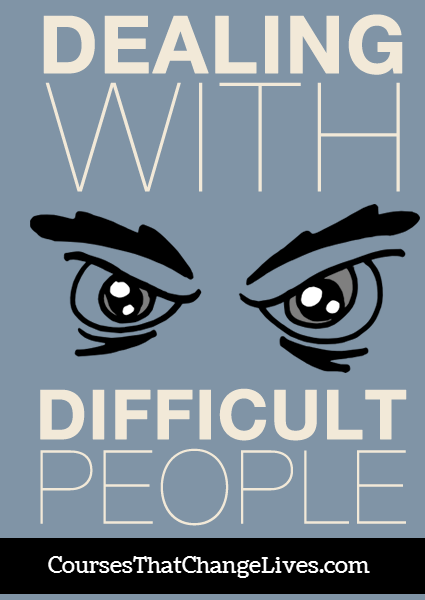 Take this course now to discover the secrets to dealing with difficult people now! 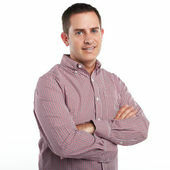 I'm Brad and I'm one of the course creators and instructors here at CoursesThatChangeLives.com. I'm originally from Canada and have been teaching classes on professional and personal development for over 10 years. I joined CoursesThatChangeLives.com because I believe in and share the vision of changing lives that Bayo has. I'm here to help you breakthrough the imaginary ceiling in your life and I know you will enjoy my courses and get a lot out of them when you apply them to your life. Module 2: What Makes Some People Difficult? What Makes Some People Difficult?